ARBUTHNOT (Arbuthnott), MARIOT (Marriot, Marriott), naval officer and colonial administrator; b. 1711 in Weymouth, England; married, with at least two sons; d. 31 Jan. 1794 in London, England. Mariot Arbuthnot entered the Royal Navy about 1727 and rose slowly through the ranks, becoming a lieutenant in 1739, a commander in 1746, and a post-captain in 1747. He commanded the Portland at the battle of Quiberon Bay, France, during the Seven Years’ War; after a period of command at Portsmouth he was appointed commander of the navy yard at Halifax, Nova Scotia, arriving there on 1 Nov. 1775. Less than a week after his arrival he retained the Somerset for the protection of Halifax, after learning that “a body of rebels” was marching “up the country” to an unknown destination. 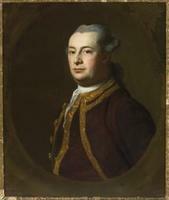 On 20 April 1776 Arbuthnot received his commission as lieutenant governor of Nova Scotia, replacing Michael Francklin. 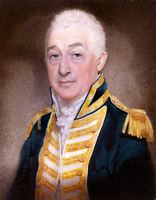 The governor, Francis Legge, sailed for England in May, and Arbuthnot became administrator of the province. That summer Arbuthnot visited the Windsor, Cornwallis, and Truro areas. The inhabitants of the Truro region he described as “a strong, robust, industrious people, bigoted dissenters and of course great levelers,” but they apparently assured him of their loyalty and subsequently sent him “a very handsome address.” When they later sheltered American privateers Arbuthnot expressed surprise: “having no duplicity in my own Conduct [I] was not prepar’d to meet it in theirs.” In November he had to dispatch troops to Fort Cumberland (near Sackville, N.B. 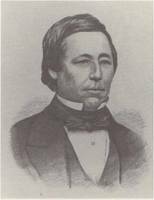 ), which was being besieged by forces under Jonathan Eddy* [see Joseph Goreham]. He also had troops sent to Liverpool and Yarmouth and armed vessels outfitted in an attempt to counter the raids of privateers. Arbuthnot was not, however, concerned solely with military affairs. 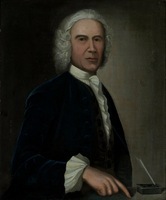 At Halifax he dealt with dissent by ordering the prominent merchant Malachy Salter arrested and tried on suspicion of conducting a dangerous correspondence with Boston. To alleviate the plight of soldiers’ families Arbuthnot gave the women work at the dockyard picking oakum. On 23 Jan. 1778 Arbuthnot was promoted rear-admiral and recalled; he left Halifax on 17 August when Richard Hughes* was sworn in as lieutenant governor. In the spring of 1779 Arbuthnot received his most important and most contentious posting when he was appointed commander of the North American station. In this position he distinguished himself mainly through bitter quarrels with his fellow officers. He saw no further service after relinquishing the command in 1781 but was promoted admiral of the blue on 1 Feb. 1793 by virtue of seniority. 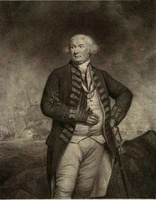 A mezzotint by Charles Howard Hodges of the portrait by John Rising is in the National Maritime Museum, London. PANS, RG 1, 45, docs.12, 13, 17, 24, 28; 136, pp.230, 241; 168; 212, 6 Nov. 1775; 13 May, 9, 16 Oct. 1776; 10 Nov. 1777; 17 Aug. 1778; 342, p.275. PRO, CO 217/27. Gentleman’s Magazine, 1794, 184. PAC Report, 1894, 354, 375. Perkins, Diary, 1766–80 (Innis), 124. The private papers of John, Earl of Sandwich, first lord of the Admiralty, 1771–1782, ed. G. R. Barnes and J. H. Owen (4v., London, 1932–38), III, 265, 267; IV. Nova-Scotia Gazette and the Weekly Chronicle (Halifax), 7 Nov. 1775. Times (London), 4, 5 Feb. 1794. DNB. Brebner, Neutral Yankees (1969), 252. Murdoch, History of N.S., II, 593–94. David Spinney, Rodney (London, 1969). Donald F. Chard, “ARBUTHNOT, MARIOT,” in Dictionary of Canadian Biography, vol. 4, University of Toronto/Université Laval, 2003–, accessed April 24, 2019, http://www.biographi.ca/en/bio/arbuthnot_mariot_4E.html.